I’m pleased to recount my recent experience with Pillar Real Estate. We sold a small commercial property and, while the transaction was not especially complicated, there was a good bit of “back and forth” before we got to closing. Most impressive was the speed with which Pillar responded to requests or inquiries. Every call or email was acknowledged within hours … most appreciated. Professional and always responded in a timely manner. I appreciate all of the hard work that Jen and Andrew put into the marketing and sale of our property. We retained Pillar to represent us for the sale of our building. They did a wonderful job providing us with a well throughout valuation, excellent marketing materials and sold our building in less than a week. And they very professionally saw though the details to get things to closing. 10 stars out of ten. My law firm contacted Andrew Carlino to find us a new commercial office space. Andrew was extremely knowledgable about the market in Chester County, as well as offered us insight into the commercial leasing process. He made finding a new office seamless and tremendously reduced the stress that can be associated with the process. I highly recommend Andrew Carlino and Pillar Real Estate Advisors for all of your commercial office needs. 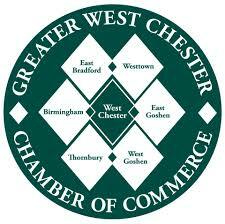 The Greater West Chester Chamber worked with Pillar Real Estate Advisors to find the new home of the Chamber. They were very thorough in the site selection process and made sure all of our needs were met before we ever looked at a location, which saved us a lot of time. Pillar is an upstanding member of the Greater West Chester Chamber of Commerce and I fully recommend Pillar for your Real Estate needs. My Advisor … walked me through the process of finding new space for a skilled nursing office in Downingtown, for Bayada Home Health Care. Like many companies, ours has a number of specifications required to maintain company standards and uniformity. [They] took the time to get to know more about my company and what would be a good fit for our location. I was offered many options and found what I believe is the perfect fit. Even though we faced some challenges, I was guided knowledgeably and patiently to a signed lease and a much broader understanding of the process. I truly felt that I had an advocate on my side while I was involved in such a unfamiliar territory. My advisor was approachable, professional and positive, this, combined with his knowledge and expertise, made me feel like I was in good hands. I would certainly recommend Pillar Real Estate Advisors to my colleagues and associates. Working with Pillar Real Estate Advisors was the best decision I made when looking for an office lease. Pillar was amazing, attentive to my requests, knowledgeable about the area I was seeking, timely and professional. Even better than all those qualities, was their ability to find space that no one else did – the perfect office space. [They] responded to my long list of requirements and presented me with several options in unheard of turnaround time. Pillar made my office move easy. There was someone to help me every step of the way! Thank you Pillar Real Estate Advisors.